Lares is so impressive and big... he stands 30 inches tall! 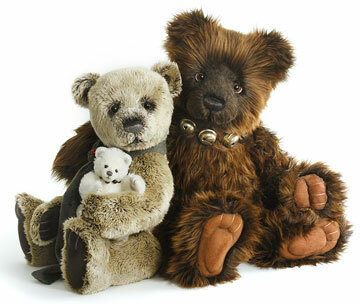 This charming huge bear has a five-way tightly jointed body sewn from plush. 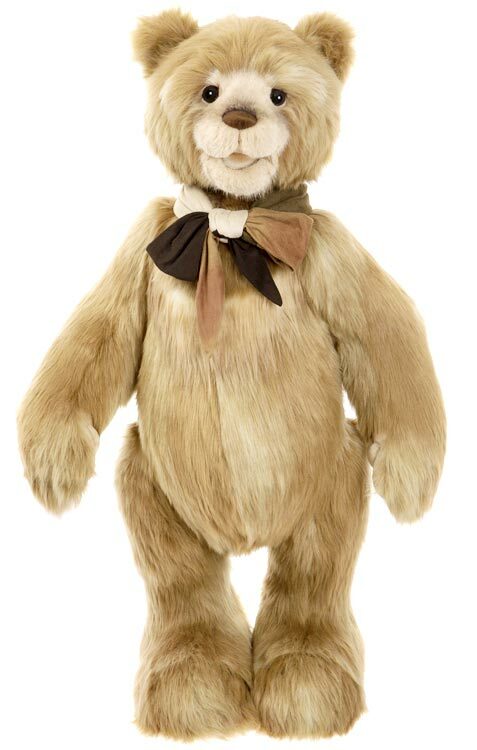 His ultra soft fur is rich in color and texture with blends of warm golden brown and blond hues... simply gorgeous! 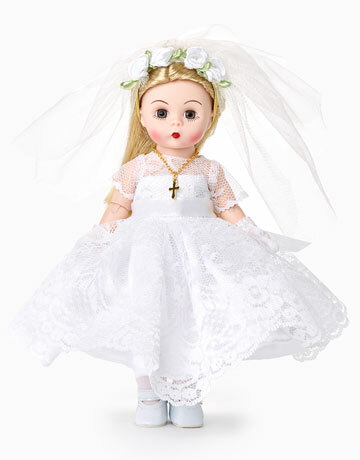 Lares has a great expression with a hand-stitched nose, open mouth that has a wonderful grin, subtle airbrushing and the most friendly glass eyes backed with felt disks for an adorable 'love me' look. His ultrasuede foot pads are flat so that he may stand or be posed in a seated position, while his paws are a bit more detailed with embroidered claws, sculpting and airbrushed details. 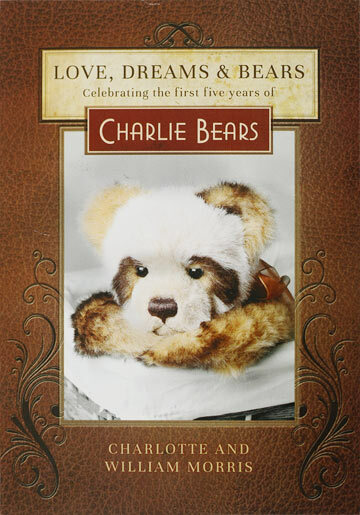 For the final Charlie Bear touch he wears a scarf tied in a double bow. 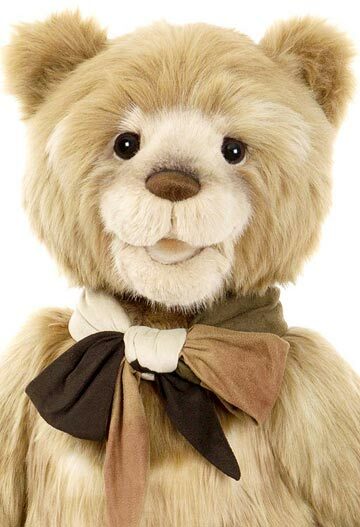 Most definitely the most cheerful bear in the entire 2018 line! Limited to only 1000 pieces. 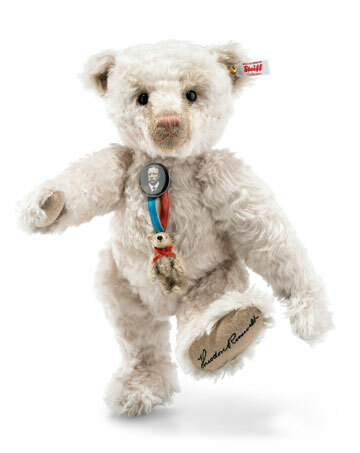 Lares Bear la is part of the 2018 HAPPILY EVER AFTER Bigger Bears Collection. Suitable for ages 3 and up.